I can't believe Thanksgiving's over and it's already December. This second half of the year went by so quickly. 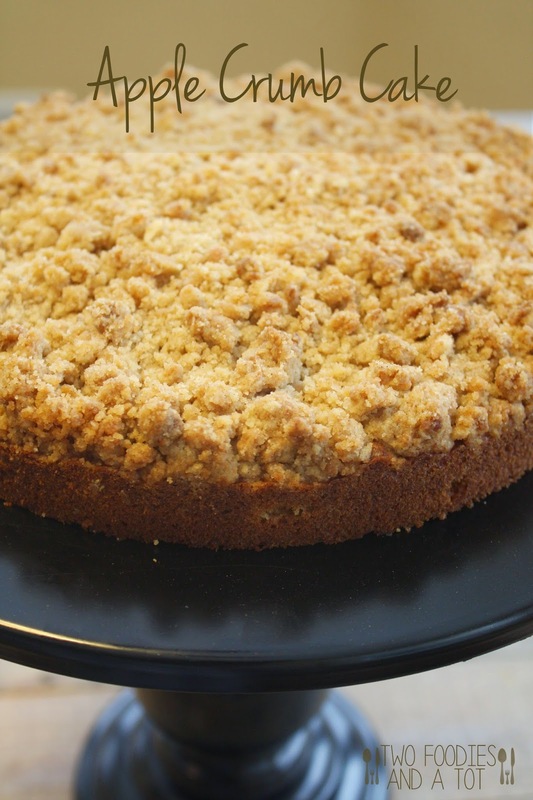 I have been meaning to post this very best apple crumb cake I've ever had but every time I make it, I am either in a rush or pictures turn out like a disaster. So this finally gets to be posted now. Well..this picture isn't the best either as I was in a rush to go to Thanksgiving dinner. But at least it's better than the past ones. This is the lonely piece that I saved from dinner, so I could take a picture of a cut piece. I have had my share of crumb cakes and this is by far the best I've ever had. 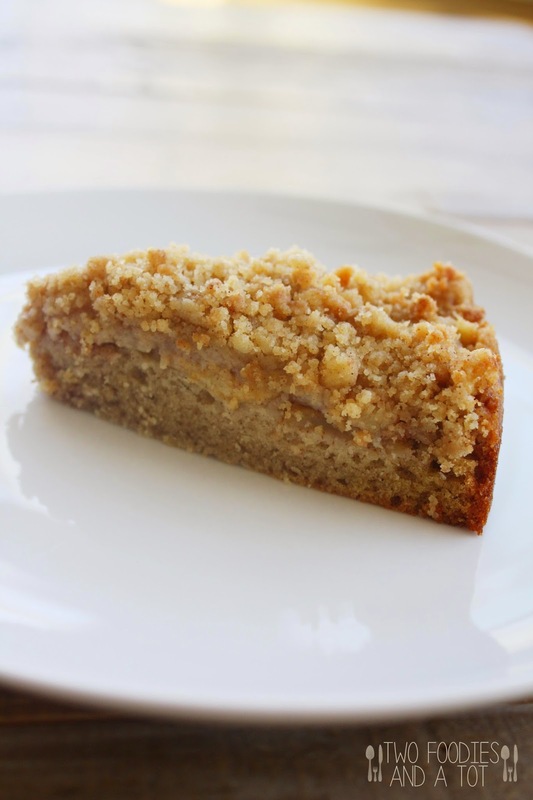 It even has a nicely thin and even layer of apples between the moist cake and scrumptious crumbs. Mmm-mm. There's always apple pies or/and pumpkin pies at everyone's Thanksgiving dessert table. This goes in the fall dessert category but it's something a little different. I usually serve it with some homemade vanilla ice cream using my go to vanilla ice cream recipe by Alton Brown. But guess what, something had to go wrong. Ice cream base is perfectly chilled and waiting to be churn, and my ice cream maker insert was not frozen!!! Something went wrong with the freezer in the garage where we usually keep the insert. It just had to be thanksgiving day. Ugh..But whether with the ice cream or not, this was still enjoyed by many members of the family. I also made a cherry tart for my beloved nephew who's a huge fan of fruit tart and cherries. Not at all thanksgiving but oh it is good! It's so perfectly red and wintery with some powder sugar on top. Great dessert for Christmas time. That comes next! 1. Preheat the oven to 375F and grease and flour an 8" springform pan. 2. Make the crumb topping. - In a bowl, mix all topping dry ingredients and add melted butter. Mix and fluff with a fork. Set aside. 3. Make the apple layer - Add sugar, cinnamon and vinegar to the apple slices and set aisde. 4. In a large mixing bowl, add all the cake dry ingredients and mix. In a different vessel, combine milk, vanilla extract, oil and egg and whisk until smooth. 5. Add wet ingredients to the dry ingredients and stir. Do not over mix. A few lumps are OK.
6. Pour the cake batter to prepared pan. Arrange apple slices on top evenly. Top with crumb topping. 7. Bake for 30-35 minutes or until top is golden brown. 8. Let it cool completely in the pan and take it out of the pan.